As we step through the looking glass of summer into the deep well of Autumn, what we will find is a beautiful, strange new world. If you are unafraid to have your notions, attitudes and beliefs shifted, if you are open to unlearning and re-learning, miracles await. For those who can find the courage to let go of illusory safety nets and trust in the wisdom and power of the soul and the beauty of the higher self and be totally guided by Spirit, life can take a whole new turn into an alternate reality of beauty, comraderie, abundance, joy and love. I know in my heart and soul that this is true, for it is my greatest love to guide my fellow travelers down the rabbit hole of life through the eyes of the mystic. You are a mystic seeker or you would not be reading this. Once experienced it cannot be forgotten and the taste for more mystery, more intimacy with the divine, more real human connection and interaction with the physical world becomes the call. Join us in the month of September as we become GRACE IN MOTION and drink more deeply of the greatest mystery of all: YOU! The month of September finds us riding on the momentum of our past choices as we move into a time of harvest. During this time many of our prior decisions and actions will bear fruit or begin to show real signs of life. Yet, it is also prime time to make amends, make new choices and plant new seeds. Hopefully what you reap will be something beautiful! This month will be devoted to the body, taking action and continuing to refine the arts of creation and manifestation of our dreams. What better way to spend part of your lunch hour than to bliss out with yoga! Starting September 6th you can join us every Monday and Wednesday at 11:30 pm for a 40 minute class followed by 10 minutes of meditation and reflection. 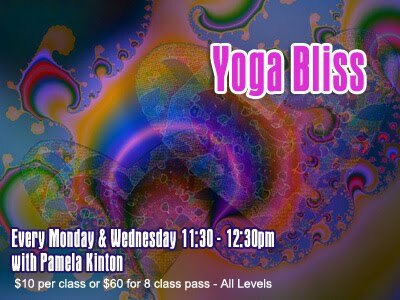 Yoga Bliss is facilitated by, Pamela Kinton, certified yoga teacher, who will gently guide you on your yoga journey. This class is designed for everyone at any level of fitness. Yoga is the culmination of an ancient spiritual and physical practice that unifies and re-aligns the body-mind-spirit. It is the perfect way to release energy in the body and the mind, realign the structure of the body so that energy can flow more freely and to open channels of communication within the body for greater health, posture and vitality. Students notice, even after only a couple of classes that they seem to stand taller and stronger and are more aware of the power within the body. 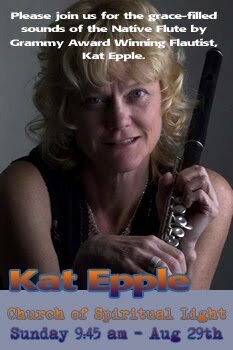 We are very pleased to announce that Grammy award winning Flautist, Kat Epple will be performing at our regular Sunday Service on August 29th at Church of Spiritual Light. Service begins at 9:45 am. Her CD's will be on sale after the service and we will be using her meditation CD during our morning meditation so you can experience it first hand! I believe she has said that she will be bringing her Native Flutes. We are very excited and grateful to be blessed with this performance and gift of music from Kat Epple. Hope to see you there! The month of August is a time of great power, the power of the sun and radiant manifestation to create new dreams. There are large and perfectly aligned windows of opportunity and openings for soul dreams to come true. We realize the power of the awakened dreamer! As I was channeling the energies and themes that we would be working with this month, I didn't know that we were going to be experiencing a cyclical solar event which happens about every 11 years, (called a Coronal Mass Ejection). It sounds a bit regal, doesn't it? And you could say that it is, because what this cyclical event of the sun does it shower the earth with solar energy that penetrates the earth's poles and affects the geomagnetic field of the earth. One of the side effects of this event is an increase in the instances of aurora borealis during the time that it is occurring (which was Aug 3-4th). Another more spiritual effect is that all the bio fields of the earth, including our bodies are exposed to a motherlode of positive, radiant energy which can be used quite literally to bring more light into our lives! 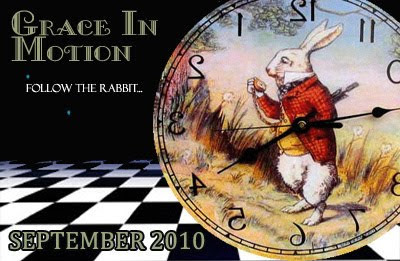 This event signals that the sun is "waking up" for it's 11 year cycle in 2013. Isn't it amazing to be able to observe our environment with new eyes? To see beyond appearance? To go beyond the ordinary senses and to develop a deeper understanding of all the ways this universe is supporting and nurturing us? This only leads to a greater sense of appreciation and gratitude as we become ever increasingly intimate with this creation and all that we are. Happy creating! Radiate, Shine and Awaken In A New Dream - Shambala is here! I am an awakened dreamer. I am dreaming of peace, love, joy and bliss. I hold the dream of love for others. I am empowered to create a new dream. I step out of the status quo and into the stratosphere! I understand the power of dreaming. Every cell of my body is filled with the Light of the creator. The divine matrix of my being is activated for higher vibration. Personal and Professional fulfillment is at hand. The power of the sun energizes and empowers my life. The moon provides a safe haven for my creations to emerge. I work with the yin and yang energies within to harmonize my creations with my highest good. I am dreaming of paradise and I do my part to make this dream a reality in my life and in the entire world. I manufacture abundance and joy for all. I allow the light to fully enliven my body, mind and soul. I create from the place of my deepest soul longings and my highest ideals. I feed and nurture the creative life force within. I call upon the angels, my guides and other people for support and assistance to help my dreams come true. My dreams deserve to live. I trust that my dream is a beautiful dream. I am available to support and assist others to make their dreams come true. I take my place in my tribal community. I acknowledge the power of the global community, while fully immersing myself in the intimacy of my geographical family. I allow myself to experience all for one and one for all. I tap into the power of the MasterMind. I assemble my dream team to create sustained abundance for myself and others.